We challenge Canadian illustrators and graphic designers to create their own original t-shirt design that celebrates Toronto's waterfront. For over a decade, Waterfront Toronto has been transforming the spaces along the lake shore. This contest is an opportunity for artists and graphic designers to express their affection for the city's unique and evolving waterfront. Entries will be judged by a jury of four (two Spacing representatives, one Waterfront Toronto rep, and one independent judge) on quality and appropriateness on Fri. May 29th. Designs submitted after the deadline will not be considered. Up to five (5) winning entries will be selected with each winning design receiving $750. Anyone who lives in Canada. What colours can I use in my design? This contest limits you to two (2) spot colours. What colour can my t-shirt be? Any colour. We suggest picking colours from our supplier American Apparel. Yes: $750 for each winning design. A maximum of five winning designs will be selected. When will the winners know if their t-shirt design has won? Spacing will email all winners the week of June 1st, 2015 to make sure we have the optimal file for printing, as well as make sure your name is spelled correctly. What if my design is not selected — what happens to the files once the contest is over? The artist maintains ownership of the design and Spacing will not use unselected entries in any way, shape or form. Where will the t-shirts be sold? Winning entries will be produced on t-shirts and sold exclusively at the Spacing Store (401 Richmond St. W.). A portion of the proceeds from sales of the t-shirt will be donated to the Toronto organization Park People. What are the terms and conditions of entering? Those are listed below. What do I submit? You will submit two (2) files: 1. Your design placed onto a diagram of a t-shirt (please download and use this template) so we know how you wish to have it displayed; 2. Your design as a stand-alone file (format preferences listed below). 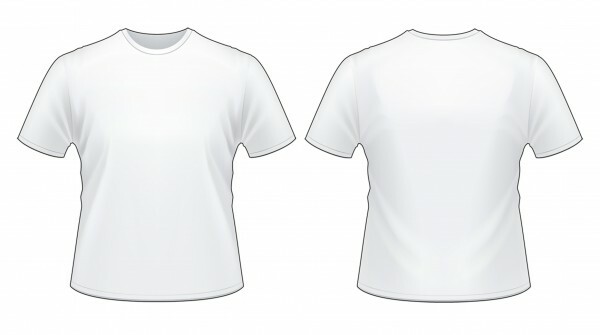 Is there a preferred size to the t-shirts? Can the design be on the back of the t-shirt? Designs should be limited to the front side, though we are happy to accept designs that wrap around the side of the t-shirt. Please remember that the design cannot exceed the size stated above. How many colours can I use in my design? To keep production costs affordable we are limiting the amount of colours to two (2) that can be used with any design. But please note a single colour, though, can have multiple shades creating the illusion of numerous colours. Photoshop: If you submit a Photoshop file, please make sure it’s saved as a TIFF or as an uncompressed JPG, in CMYK, and has a minimum resolution of 300 dpi. Make sure the file is “flattened” so that any fonts or effects are not lost when opened on Spacing’s computers. Illustrator: If you submit an Illustrator file, please make sure it’s saved as a PDF and in CMYK. We will only accept PDFs in order to maintain the design integrity of your submission. Please note that all fonts need to be converted to outlines and that any photo files embedded in your Illustrator file must be in CMYK and have a resolution of 300dpi. InDesign: Spacing prefers not to receive any InDesign files. If you must submit your entry in this format please save it as a PDF. Where do I upload my files? 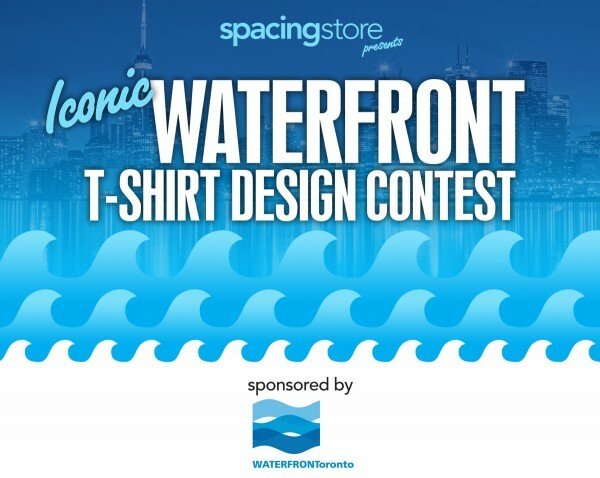 Once you’ve sent an email to Spacing [ waterfronttshirt@spacing.ca ] to notify us of your interest to enter the contest, Spacing will provide you with an entry form and how to share your design with us. Please title your files with your name (ie. “robert-douglas-ford.pdf”). this will make us very happy and it will be easy for us to sort. Click on this image to download larger file. The Participants agree to release and hold Spacing Media Inc. and Waterfront Toronto (herewith referred to as the Organizer and the Sponsor) free and harmless of any and all losses, damages, rights, claims, actions, costs and expenses of any kind in connection with the Contest or resulting from acceptance, possession, or use of any prize, including without limitation to personal injury, death, and property damage, and claims based on publicity rights, defamation or invasion of privacy. By accepting the prize, the winners grants the Organizer and the Sponsor the rights to use the participant’s submission on a variety of types of apparel in perpetuity. By accepting the prize, the winners grants the Organizer and the Sponsor the rights to use the participant’s name for the purpose of publicity, advertising, promotion and/or trade such media the Organizer and Sponsor may choose without prior compensation or notice, and at its sole discretion. All entrants must declare that the design is their own work and free of any copyright other than their own personal copyright. In submitting to the competition, you agree to grant the Organizer and Sponsor a royalty-free, exclusive license to publish and otherwise use the submitted material in any way that the Organizer and Sponsor require in perpetuity. Designs will not be accepted in the competition if they are deemed inappropriate in nature and that includes, but is not limited to, images that may be offensive, previously published, copyrighted (by somebody other than entrant) or otherwise contrary to the spirit of the Contest or any of the specific rules noted for the Contest. The Organizer and Sponsor disclaim any liability for inaccurate information, whether caused by the Website, users, or by human or technical errors related to the submission of entries. The Organizer and Sponsor may cancel, terminate, modify or suspend the Contest or these terms and conditions prior to the cessation of the Contest for any reason, including, but not limited to, technical reasons such as computer viruses, bugs, tampering or technical failures. The Organizer and Sponsor reserve the right to amend, revise, supplement, delete, vary or add to these terms and conditions without prior notice at any time and the Participants shall be bound by such changes, amendments, revisions, supplements, deletions, variations or additions. By participating in the Contest, Participants fully and unconditionally agree to be bound by these Contest terms and conditions.